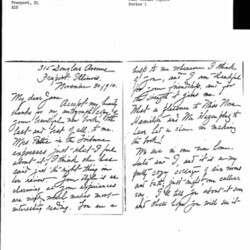 Flora B. Guiteau to Jane Addams, November 30, 1910. Luther W. Guiteau was a theater manager in Freeport, IN. He was the brother of Charles J. Guiteau, the assassin of President James A. Garfield in 1881. Guiteau worked for the Second National Bank in Freeport and briefly participated in the Alaskan gold rush of 1898. After his return to Freeport, he worked for the Majestic Theatre, the Old German Insurance Company, and the Crum & Forster Insurance Company. Luther W. Guiteau, Freeport Journal-Standard, January 19, 1944, p. 12. 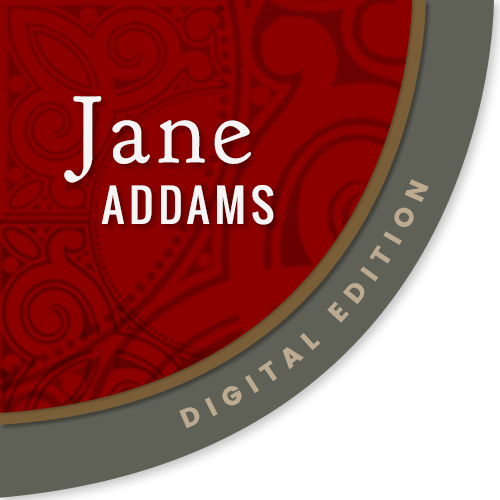 “Guiteau, Luther Wilson (1856-1944),” Jane Addams Digital Edition, accessed April 18, 2019, https://digital.janeaddams.ramapo.edu/items/show/9448.